The new models of iPhone named iPhone X, iPhone 8 and iPhone 8 Plus are the top trends on the internet nowadays. Everyone is curious about the new iPhone models. The main reason is the amazing features Apple is launching its new iPhone models. These models have some new features that are not found in any previous iPhone model. Features like the new screen, smart camera, and fast charging are extraordinary. Just like the new improved iOS version, the hardware is capable of doing much more things than any other Smartphone. In this article, we will show you how to fast charge iPhone 8, iPhone 8 Plus and iPhone X. Fast charging is a feature that allows you to charge your iPhone quickly. It will charge 50% of your mobile battery in just 30 minutes. This new feature will provide a more convenient way to use the phone to its users. But, there is a problem with iPhone fast charging. Apple doesn’t provide all the resources that are necessary for iPhone fast charging. You will only get the older cable and power adapter with the new iPhone X, iPhone 8 or iPhone 8 Plus which are not capable of fast charging. So if you want to use the fast charging feature on your iPhone, you will have to pay a little more. 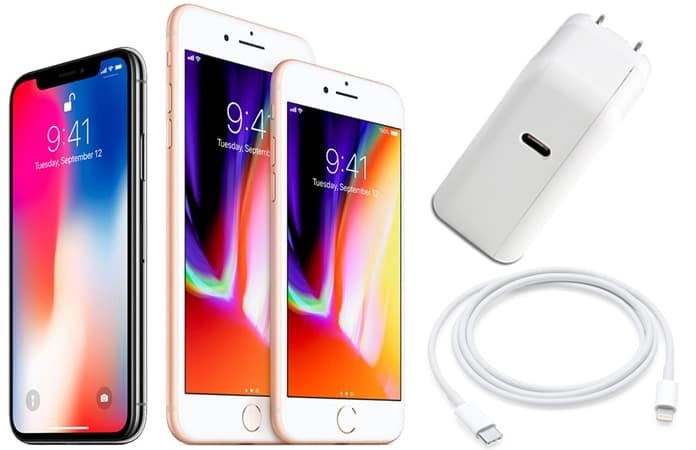 Have a look at what you need and how to fast charge iPhone 8, iPhone 8 Plus and iPhone X. The first thing you will need for iPhone fast charging is USB-C to Lightning Cable. With your new iPhone box, you will only get the older cable which is not supported by higher power and fast charging. 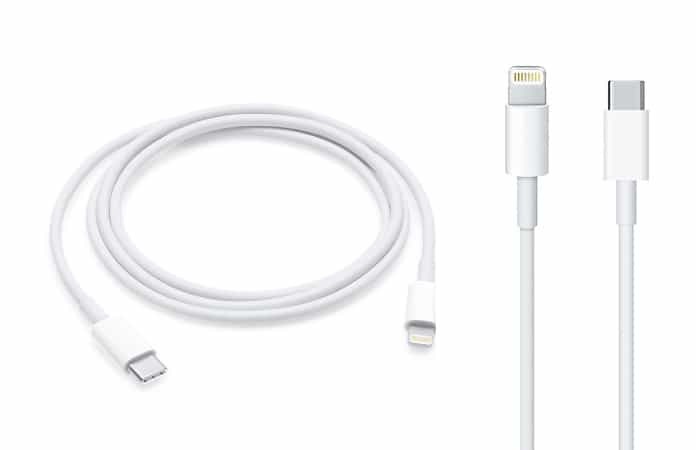 Apple is giving the regular Type-A versions of USB cables with the new iPhone models which cannot be used for fast charging. So if you are interested in fast charging, you will have to pay for a new USB cable. You can get a USB-C to Lightning Cable just for $25. The second required thing in fast charging is a power adapter with a higher power. With new iPhone X, iPhone 8 and iPhone 8 Plus, you will get a 5 watts power adapter which charges your phone with normal charging speed. 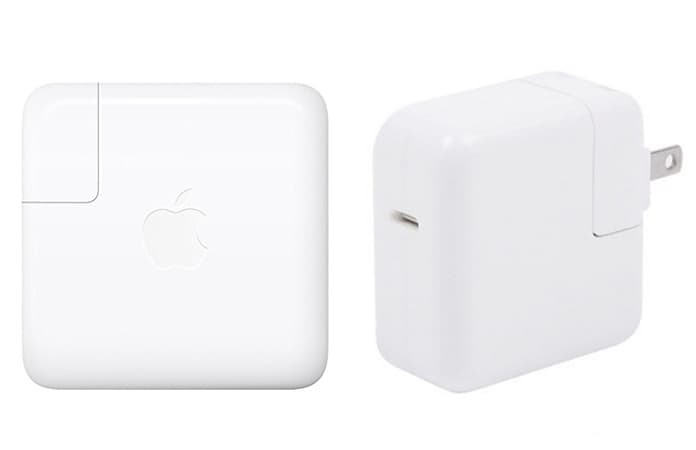 However, for fast charging, you will need a 29 W, 61W or 87W power adapter. You can get either of these power adapters according to your requirements. Keep in mind that you will have to select the power adapter for your new USB-C to Lightning Cable. The USB cable you get with the new iPhone box will not support these higher power adapters. You can get these power adapters from $49 to $70. Thus, if you are eagerly waiting for the new fast-charging feature, you will have to buy both of the resources mentioned above. USB-C to Lightning Cable and the new power adapter can be easily purchased from a nearby store. As explained above, you will have to pay a little more for it as you don’t get these with your new iPhone models. So, if you want to try this, then buy it and simply plug one side of cable in adapter and other in iPhone. Now enjoy fast charging feature on your new iPhone without any risk. Previous articleHow to Pronounce “iPhone X”? Is it “iPhone 10” or “iPhone X”?